The InfiniGLIDE6 provides minimalist appeal and slim sightlines for the perfect aluminium sliding door that blends perfectly into your interior design. Whether your home looks out onto a beautiful country landscape, metropolitan skyline or sprawling garden space, you can make the most of the panoramic view with InfiniGLIDE6. Offering slimline aluminium sliding doors that blend into any property type and complement the interior and exterior of a building, they are the definitive choice. The InfiniGLIDE6 is an innovative product that pushes the boundaries of slim line patio doors and provides an end result that is unparalleled. Exuding a luxurious look and flawless balance between the inside and outdoors, the effect of the InfiniGLIDE6 is breath-taking. Using cutting edge technology and advanced manufacturing techniques, our high quality aluminium sliding doors offer an opulent addition to any project that requires floor to ceiling length glazing. These sliding doors offer exceptional functionality and act as an entrance and exit point that is sure to catch the eye. Inviting the outdoors in with a seamless transition, the InfiniGLIDE6 exudes elegance and allows natural light to pour into a space creating a vibrant and spacious feel. 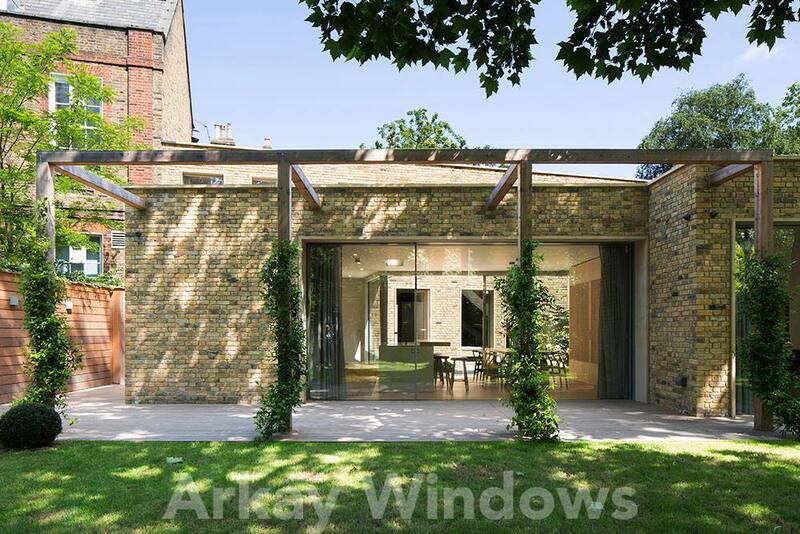 Creating a stunning focal point for a range of property and building types, the virtually frameless sliding doors are versatile as well as practical. 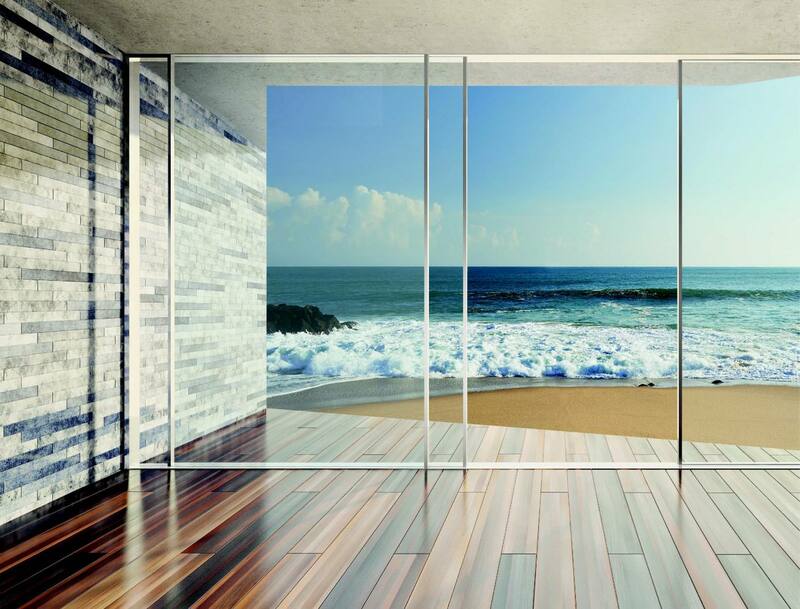 Our large aluminium sliding doors are designed to keep moisture out and heat in, with excellent thermal efficiency. They make a worthwhile investment for any project that requires a robust solution that is high performance as well as visually pleasing. The InfiniGLIDE6 is the epitome of minimalist style and sophistication, offering a transparent element to residential or commercial properties. The invisible U-Profile helps to keep the look minimal and a two-point locking device adds additional safety for enhanced security and complete peace of mind. Take a look around our showroom to see the InfiniGLIDE6 product up close to marvel at its features and benefits. If you have any questions about our aluminium sliding door range our helpful team can provide you with any information you require. Take a look at our InfiniGLIDE6 video to see the aluminium sliding doors in action. With a smooth operation and quiet stainless steel wheel track, the InfiniGLIDE6 is a highly sought after solution that combines elegance with high performance functionality. 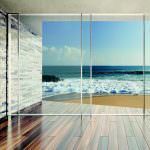 Why Choose the InfiniGLIDE6 Aluminium Sliding Door? The minimal frames of the InfiniGLIDE6 move effortlessly on dual stainless steel rails with two double stainless steel rollers on each side of the vent. This provides a silent and smooth operation which is also available with electric motorisation if you require it. Every detail has been considered when it comes to the design of our slimline aluminium sliding doors, with every aspect designed and created in a certain way to provide a high quality finish with exceptional performance. Our stainless steel rollers have been placed on the vent, making any maintenance work quick and easy with minimum hassle. When it comes to the security of the InfiniGLIDE6 aluminium sliding doors, the lock handle is designed to provide exceptional security and protection. Stylishly designed, the slim handle bar can be placed on the inside or outside of the slimline doors depending on your preference. For properties or buildings that are in areas that are built up or prone to excessive sound pollution, the InfiniGLIDE6 system is thermally broken to reduce noise and create a tranquil and serene environment. The ambience of a property is important and our aluminium sliding doors help create the perfect atmosphere. Take a look through our InfiniGLIDE6 brochures for technical specifications, sizes and performance information. 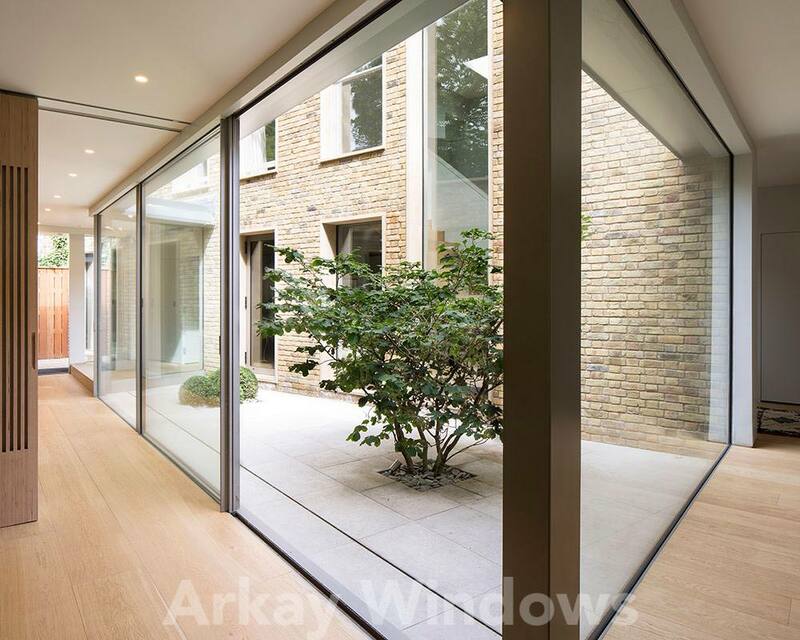 Our frameless glass sliding doors are a beautiful addition to any development project, offering cohesion between the internal and external areas of the property. 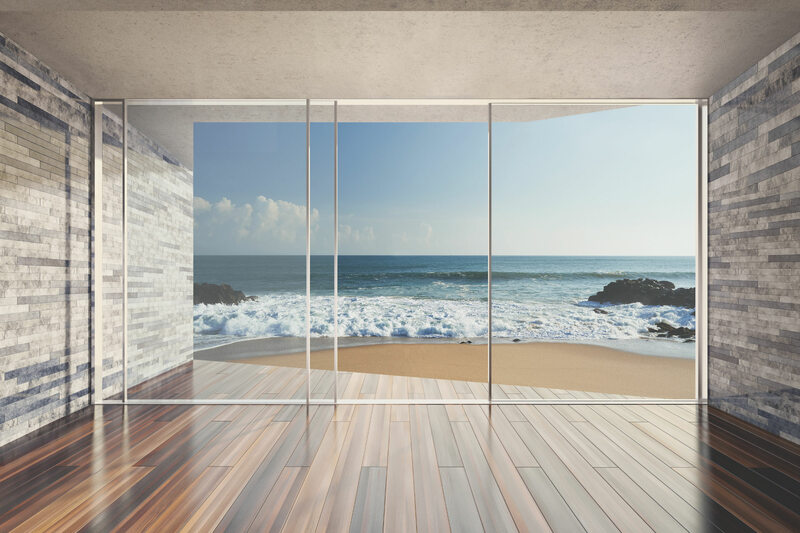 Due to the versatile nature of the aluminium sliding doors we create, you can use them to serve the purpose of separating spaces or rooms inside of the property as well as an entrance or exit point externally. 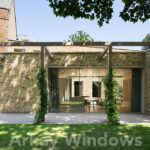 Adding minimal sliding doors to a project opens up a world of possibilities, features and benefits. Add stunning views of the outside with floor to ceiling slimline doors that create a focal point and enable you to open up the space to create a large and open plan feel. Whether they open up to a balcony, patio or garden space, you will never tire of the view. Providing the ability to step between the property and the outside allows for the outdoor space to become integrated with the inside, adding space and enjoyment. When in use, the InfiniGLIDE6 is designed to smoothly open up entirely to allow for ease of access and when not in use offers protection as well as increased natural light for the picture perfect finish. You can contact us today for a free quote for your aluminium sliding door needs. Whether you’re looking for the InfiniGLIDE6 system to be implemented into a residential or commercial project, we can help. Simply fill in our contact form and a member of our team will be in touch as soon as possible. We would be happy to advise on the best products and systems to suit your project needs and requirements. 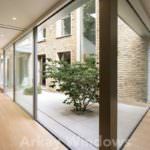 What is the cost of slimline aluminium sliding doors? The cost of slimline aluminium sliding doors varies depending on your particular needs or requirements. Each product is unique to your needs and with a long list of specifications, sizing and customisation options your quote will need to be as bespoke as your project is. You can contact us today to discuss your project and we can advise on the best possible solution. 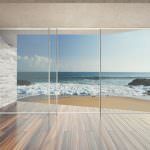 What features and benefits do aluminium sliding doors have? As well as having a sleek and elegant design which adds aesthetic appeal and value to a property or building, the InfiniGLIDE6 offers exceptional thermal efficiency, protection against the elements and increased security. On top of this they are low maintenance as well as durable offering a product that will last the test of time even after heavy or frequent use. You can easily improve your living space with aluminium patio doors. How strong are glass sliding doors? 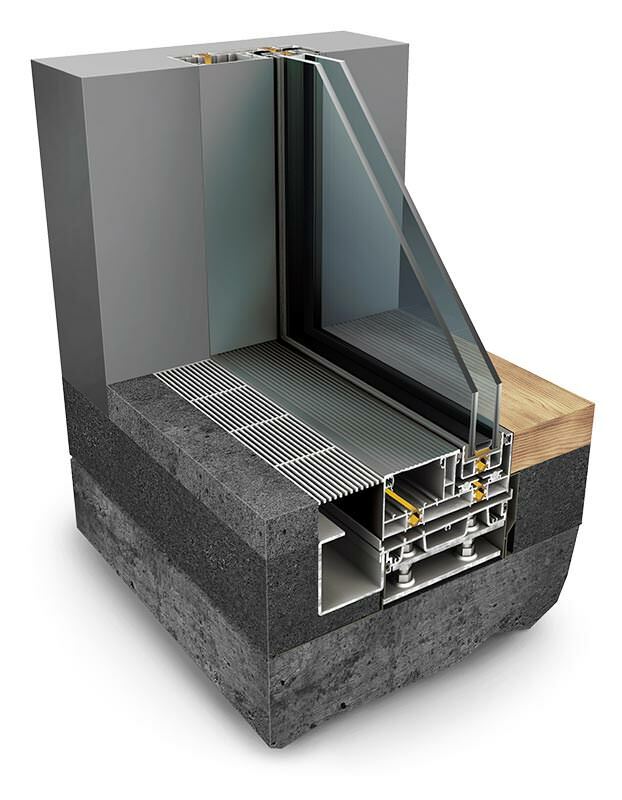 Our InfiniGLIDE6 aluminium sliding door product is extremely robust and strong. Aluminium is a lightweight material however it is known for its strength and resilience. It is also very flexible enabling a design that consists of a higher glazing to frame ratio resulting in the frameless look and feel that the InfiniGLIDE6 benefits from. You can use our aluminium sliding doors internally or externally with confidence.